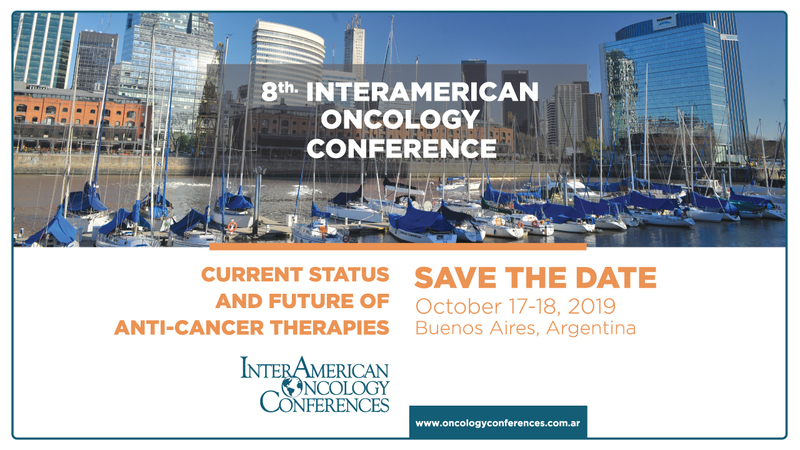 The 8th Conference of IAOC "Current Status and Future of Anti-Cancer Targeted Therapies" will be held in Buenos Aires, Argentina in October 17th and 18th, 2019. An outstanding faculty of speakers from the United States and Europe has committed in this meeting. The conference agenda will focus on new translational advances in the treatment of cancer as well as provide updates of conventional therapies for a number of the most common tumor types. The meeting objectives are designed to introduce the audience to the latest information on targeted therapies, immunotherapies and emerging treatments in early development. The major emphasis will be on clinical aspects of cancer treatment in the 21st century with discussion of significant scientific advances underlying the novel approaches still in preclinical development.